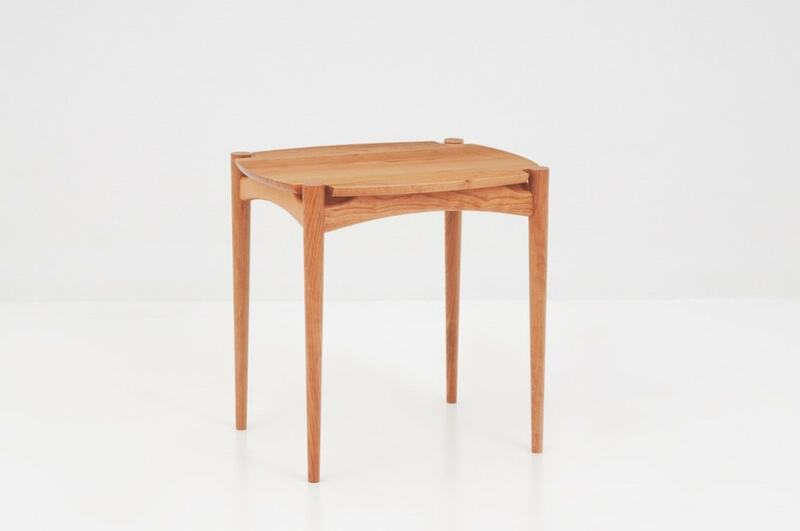 Crafted with the floating legs seen elsewhere in the Ellipse Collection, the Ellipse End Table makes prudent use of cherry and walnut, favoring the beauty of simplicity over ornamentation. The effect is powerful, echoing Shaker design philosophies to create a utilitarian piece that augments an accompanying table or sofa. 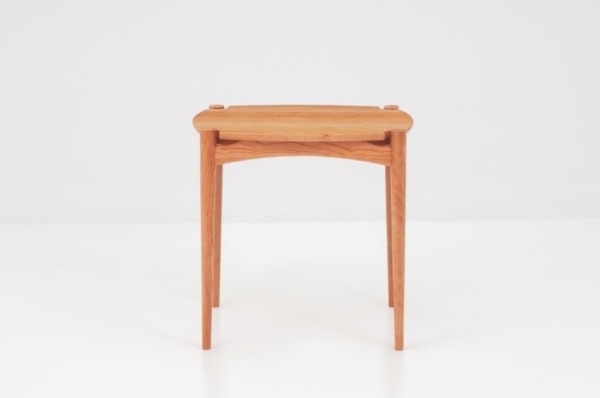 The Ellipse End Table demonstrates the power of the elemental. 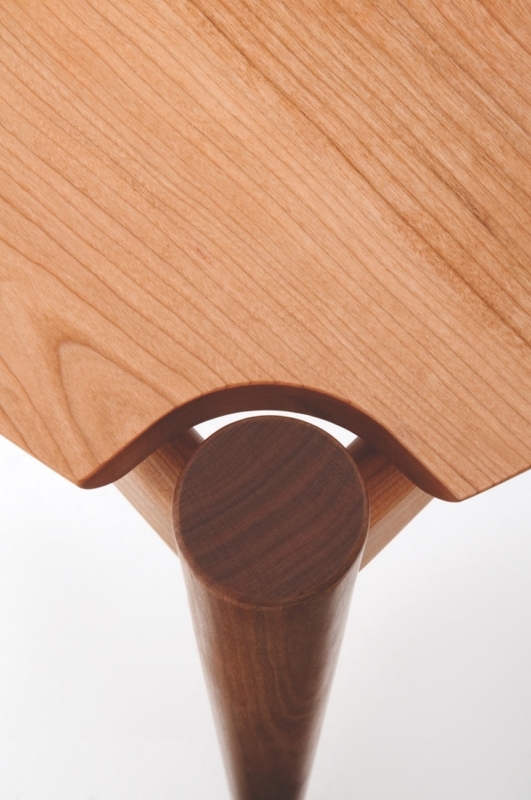 The table uses a selection of hand-finished North American hardwood – often cherry and walnut – rising from the floor on four tapered legs that form visual boundaries as they join the tabletop. 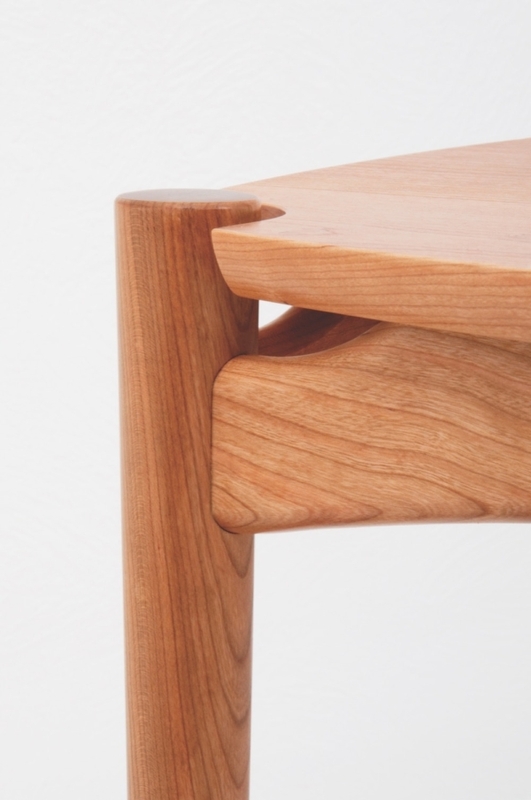 Secured via mortise-and-tenon joints to the table’s curved and notched supporting skirt, the structure demonstrates the strength of wise restraint. 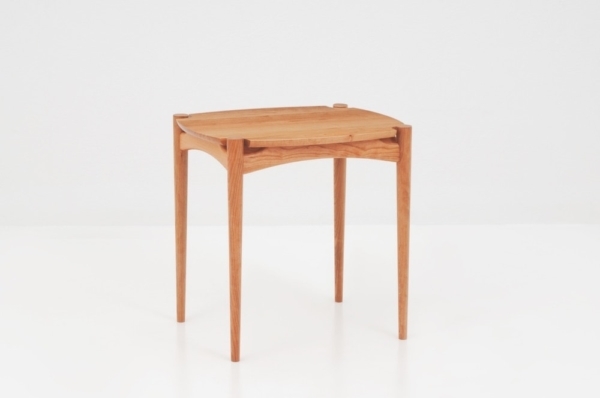 Like its underpinnings, the tabletop is simple, utilitarian, and beautifully finished. The uninterrupted plain of the surface showcases the natural beauty of the wood’s dense grain structure, while its finish protects it from the rigors of everyday use. 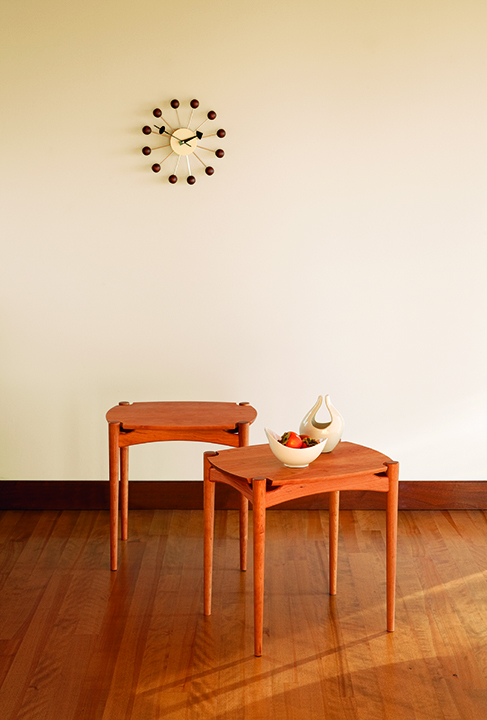 The Ellipse End Table’s simplicity affords it a limitless versatility. It can be paired with the Ellipse Lounge Chair or our Ellipse Sofas to form a unified design theme, or integrated with both modern and traditional seating.